Prince George's County Firefighters and Medics are on location at a hospital dealing with a strong pungent odor with patient relocation required. Just before 8:00 pm fire/EMS units responded to Southern Maryland Hospital at 7503 Surrats Road in Clinton. A strong pungent odor was detected in the area of the emergency room. As a precaution the waiting room and patients in the ER were relocated to other areas of the hospital not effected by the situation. Washington Gas Company personnel arrived quickly and determined the odor was not natural gas. The Fire/EMS Departments Hazardous Materials Team will attempt to identify and track down the source of this strong odor. In addition to firefighters and the haz-mat team, several EMS units are on location assisting in moving patients and standing-by to assist people attempting to visit the ER. At least one of these patients has been transported to another facility. The Department's Ambulance Bus is standing-by on the scene in the event a large number of patients need to be moved. There are 35 firefighters and medics on location with close to another 12 members of the hazardous materials team. Currently, the hospital is closed to new patients and all patients and staff inside the hospital have been moved to a safe location. The hazardous materials team conducted a re-con of the ER and waiting room with a variety of monitoring devices. No detectable hazards were found and the odor has dissipated. While the "all-clear" has been given for the ER, the haz-mat team is continuing to check other areas of the hospital including the buildings propane tanks. Some fire/EMS units have been released and the hospital will start to transition back to normal operations over the course of the evening. At about 10:20 pm, an "all clear" was sounded as the source of the strong pungent odor was identified and deemed safe. The haz-mat team traced the odor to the buildings propane storage tanks. For unknown reasons there was a heavy residual odor of propane in the area of the storage tanks earlier in the evening. The wind pushed the propane odor from the tanks over to the emergency room entrance which generated the initial calls for assistance. The odors have since dissipated. Haz-mat team members are working with the building engineers to isolate the storage tanks and have requested the propane gas supplier to the scene to coordinate any repairs. All Fire/EMS units, with the exception of the haz-mat team, have returned to service. PGFD Community Outreach Coordinator to be Awarded a "Star of Life"
On Tuesday, May 17, 2011 at 10:00 AM, the Maryland Institute for Emergency Medical Services Systems (MIEMSS) will present its annual Star of Life Awards to honor EMS personnel, citizens, and EMS programs statewide. The awards will be presented in the Miller Senate Office Building, President’s Conference Room, East I, 11 Baden Street, Annapolis, MD. Our very own Teresa Ann Crisman, Community Developer, coordinator of the Community Outreach for the Fire/EMS Department has been selected to receive one of the top awards to be presented by Maryland Governor Martin O’Malley. “For her tireless efforts in reducing injuries in children through life-safety education in Prince George’s County and across the state. 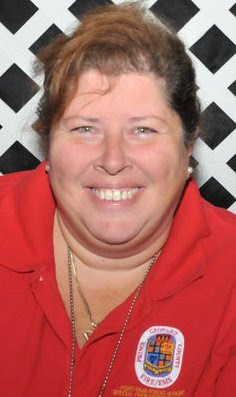 Additionally, Teresa Ann Crisman is slated to take on the role as President of the Maryland State Fireman’s Association Ladies Auxiliary this June at the annual convention in Ocean City, Maryland. EMS providers include paramedics, emergency medical technicians, first responders, and fire fighters, both career and volunteer. EMS Week will feature highlights of our personnel and apparatus that provide the very best in pre-hospital care to the citizens, residents and visitors to Prince George’s County. · Is the person’s condition life-threatening? · Could the person’s condition worsen and become life-threatening on the way to the hospital? · Does the person require the skills or equipment of paramedics or emergency medical technicians? · Could the distance or traffic conditions cause a delay in getting the person to the hospital? If your answer to any of these questions is “yes,” or if you are unsure, it’s best to call EMS. Paramedics and EMTs can begin medical treatment at the scene and on the way to the hospital and alert the emergency department of the person’s condition en route. When you call for help, speak calmly and clearly. Give your name, address and phone number; give the location of the patient and describe the problem. 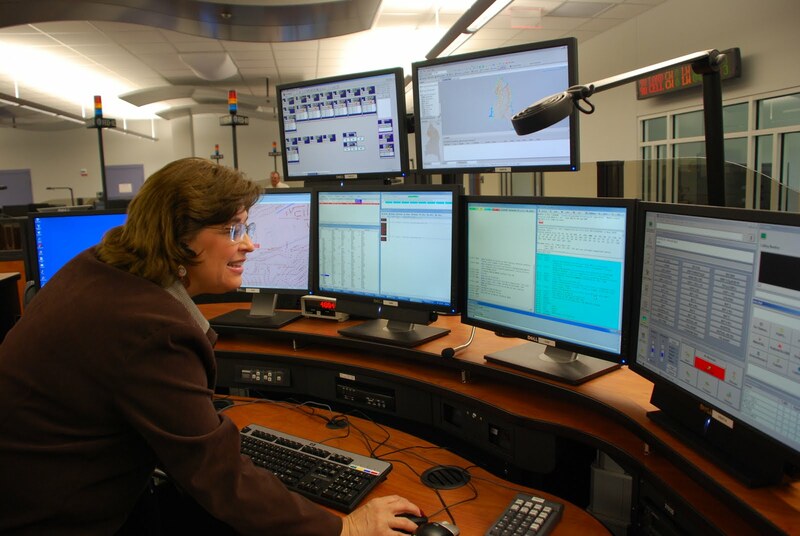 Don’t hang up until the dispatcher tells you to, because he or she may need more information or give you instructions. 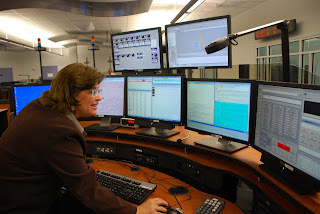 911 call-takers and dispatchers are trained and proficient in Emergency Medical Dispatch (EMD) which allow dispatchers to capture important medical information and if the need arises; to provide pre-arrival instructions over the phone. Information obtained through EMD is passed on to responding medics informing them of your condition prior to arriving on the scene. Prince George’s County is investing in the overall EMS commitment to excellence by providing equipment and apparatus that is reliable and safe for our providers and patients. New transport units have been ordered and are currently being manufactured. Thirteen 2011 Freightliner/Wheeled Coach ambulance transport units are scheduled for delivery later this year. These units were purchased for just under $3,000,000 and placed into a rotation of units and not specifically assigned to any one station. These vehicles will be the first in our fleet that will meet the EPA 2010 emissions standards by utilizing DEF (Diesel Exhaust Fluid) which is an organic, non-toxic compound made of 32.5% urea and 67.5% de-ionized water that, when carefully added to diesel exhaust, helps neutralize emissions. Members of the media are invited to ride-along with our “Everyday Heroes” during a tour of duty. There is no better way to appreciate the day in the life of a paramedic then to put yourself in their shoes. Please contact the Press Information Office, 301-883-7154, to arrange for your ride-along. At about 10:30 am, Monday, May 16, 2011, Prince George's County firefighters and paramedics from the Chillum-Adelphi area were dispatched to the intersection of 21st Avenue and Amherst Road for a natural gas leak. A WSSC crew installing new water lines accidentally struck and broke a 6-inch high-pressure natural gas line. The product could be seen releasing at high pressure into the atmosphere with a strong pungent odor throughout the community. This is a residential community of single family homes. While no trace of the product was found in any of the nearby structures, as a precaution, 6 homes (9 occupants) located in the immediate area of the break have been evacuated. Dozens of other residents have been denied entry into the community as WSSC and Washington Gas officials work to shut off the flow of product. Washington Gas Company officials were able to terminate the flow of natural gas at about 2:45 pm without causing any widespread utility outage. Occupants were allowed to return to their homes, however, some residential roads remained closed as work was on-going. There were 25 firefighters and medics on-board 8 pieces of Fire/EMS Equipment that operated or stood-by during this incident. Two unrelated fires occurred within a minute of each other this morning; Monday, May 16, 2011. There were no reported injuries, however, 9 residents will be displaced from one of the incidents. The first fire occurred at 4:40 am, at 7934 Johnson Avenue in the Glenarden community. Firefighters arrived to find a fire inside of a barbershop that was among other commercial establishments in a 1-story strip shopping center. The fire was quickly extinguished and stores on either side of the barbershop were protected and spared damage. Fire investigators are still investigating the cause of this fire. Fire loss is estimated at $50,000. At 4:41 am, firefighters were alerted to a fire on the second floor of a 3-story garden style apartment building in Oxon Hill. Firefighters arrived at 2965 Brinkley Road to find fire showing from an apartment on the second floor. It required about 10 to 15 minutes to extinguish the fire. Four apartment units, 8 adults and 1 child, were displaced and are being assisted by the Department’s Citizen Services Unit. The cause of this fire was determined to be an unattended candle and fire loss is estimated at $75,000.